Time to put your table pads away? Keep your pads dust-free and ready for the next use. 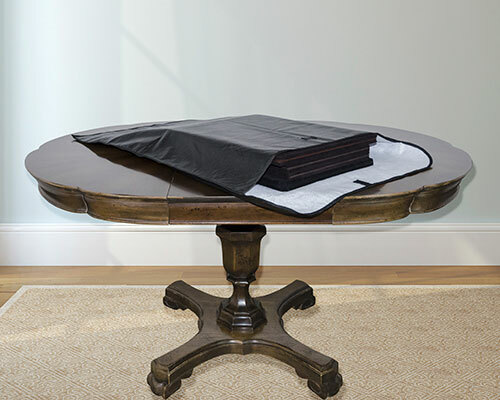 Just order one of our specially designed Table Pad Storage Bags! Vinyl leatherette on the outside and soft knit cloth on the inside with a Velcro closure -- one size fits most table pad sets.